يوفر فندق Golden Shores Motel ظروف إقامة راقية وهو خيار رائج للسياح ولرجال الأعمال أيضاً. يقع في منطقة شواطئ من المدينة. إن موقع الفندق الاستراتيجي، الذي يبعد 5 km فقط عن مركز المدينة، يسمح للنزلاء بالوصول سريعاً وبسهولة إلى العديد من الوجهات المحلية المثيرة. كما يمكن الوصول بسهولة إلى عدة معالم سياحية قريبة. إن حسن الضيافة والخدمات الراقية التي تعرف بها Golden Chain تغني تجربتك في Golden Shores Motel. تتضمن الميزات الرئيسية في هذا الفندق: واي فاي مجاني في جميع الغرف, خدمة التنظيف يوميًا, تسجيل وصول/خروج سريع, تخزين الأمتعة, واي فاي في المناطق العامة. تنعكس أجواء Golden Shores Motel في غرف الضيوف.تلفزيون بشاشة مسطحة, مرآة, اتصال لاسلكي بالإنترنت, اتصال لاسلكي بشبكة الإنترنت (مجاني), غرف لغير المدخنين هي بعض الميزات الموجود في العديد من الغرف. سواء كنت من محبي الرياضة أو كنت تتطلع لتفريغ عناء نهار صعب، ستجد خدمات ذات مستوى عالي بانتظارك كمثل مسار جولف - ضمن 3 كم, حديقة. إن كنت تتطلع إلى إقامة مريحة وهادئة في المدينة، فستجد في Golden Shores Motel بيتك الثاني. 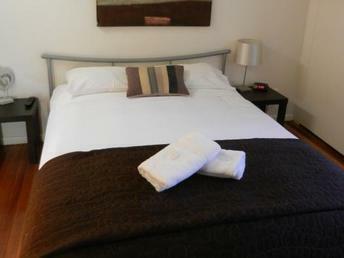 Great location within walking distance from the airport making it perfect for a short stay due to an early / late flight. I arrived at around 10.30pm on a Friday night and was able to check in via calling the mobile number left by office. The guy then gave me the password to the safe with the room key inside. Booked a single room (number 10) which was perfect for a short stay. It was clean and the aircon was cool. The motel is near the beach so also perfect for a morning stroll before 10am checkout. There are some negative reviews. Shame on those people. It's not the newest, biggest or flashest hotel in Qld. It doesn't pretend to be, or charge like it is. I was a business traveller, arriving late night. I got a great price, safe off-street parking, staff left the safe instructions for my key, next morning I crossed the road to fill the rental car, and then I'm at the airport gate in 30 seconds. I had booked a very small and on the advice of the lady in attendance and for an additional $20 upgraded to a bigger and more comfortable room. The reason I booked this hotel I wanted to be within close proximity to the airport, which it was. Even though its an older motel the bathroom and kitchen have been modernized, the shower recess is small but big enough for me. The place was very clean. 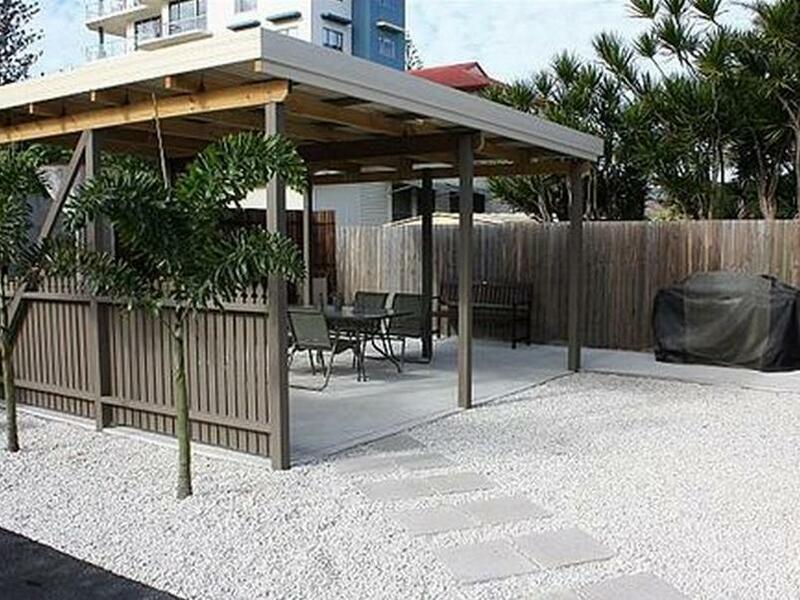 What you see is what you get, decent value- excellent location. Only stayed for 6 hours to catch up on sleep due to a delayed flight. Bed comfy, aircon AND ceiling fan (although is was squeaky) was amazing, shower did the job and was quiet. Main room light didn’t work, but didn’t bother us too much. Cheers! Was very appreciative for the last minute booking for a cancelled flight, but the only thing that let us down was no blankets for the bed and the feeling of not being secure at night with sliding door for front door. 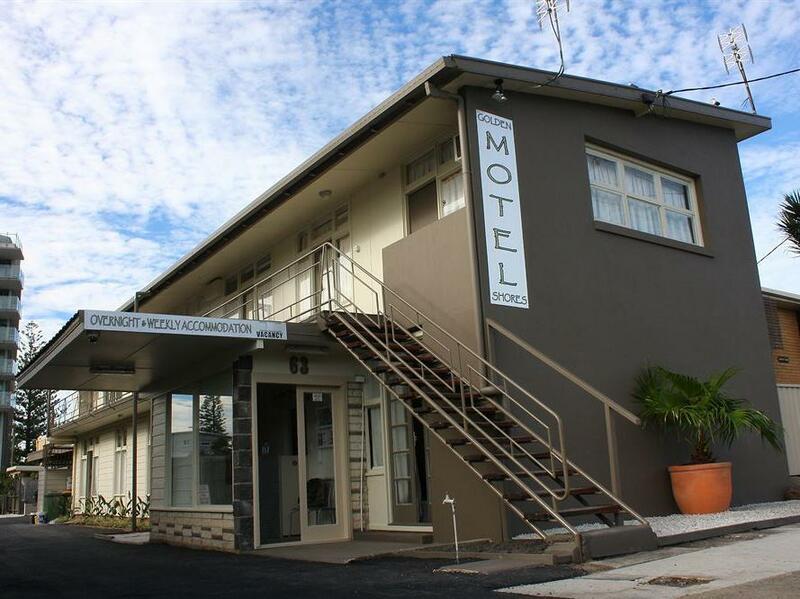 Good motel for overnight stay when travelling as able to walk to the airport. Clean and comfortable bed. Only problem is a very small bathroom with nowhere to put anything. Other than that a good motel. The hotel host Harry helped me a lot on luggage, direction and so on. The room is small but has all necessary things include microwave and refrigerator. I arrived after 2200 which was after the reception time. My sim card doesn't work, WIFI is encrypted... I borrowed a phone from the guest and finally checked in. The hotel host provided me so nice service which made me felt relieved. Great room great host! 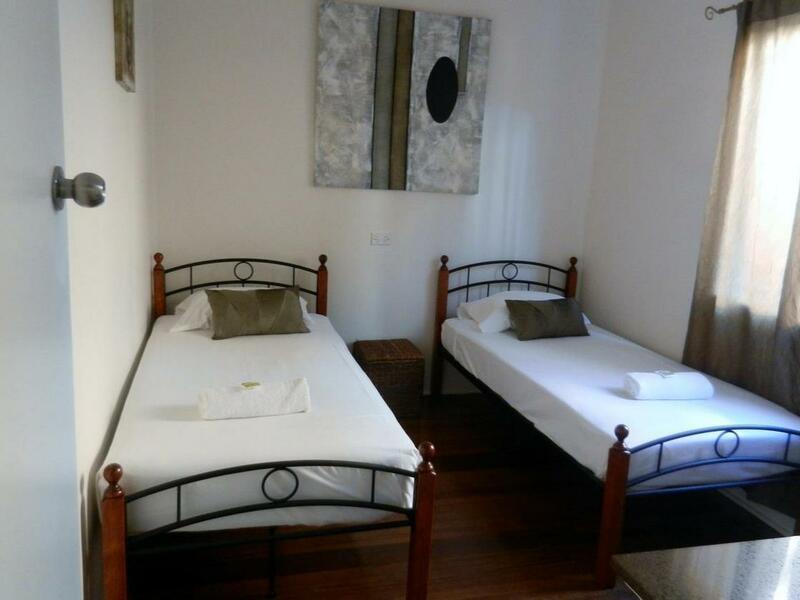 One flaw is on Agoda, the room picture is not correct, check booking .com. Location, distance to airport, quiet place. A very convenient motel with good but limited facilities. Just spent one night but had a good rest before my flight early next morning. Value for money. 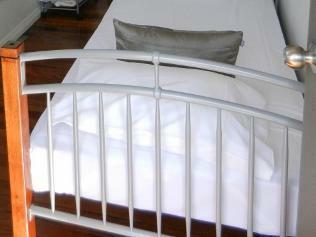 Recommended for one night stay either upon arrival at night or before early morning flight departure. I arrived around 11pm, needing a real bed after 5 days working at a festival. There were plenty ofblankets and the water was hot. A short stroll to the airport before the sun came up and I got back home. The location is convenient however arrived late past 8pm and no one was on duty. No food stalls nearby. Hi Hayley the rooms are cleaned daily. Blankets are washed and sometimes there is laundry powder residue after washing which may not be picked up. We do not have permanents and as for it feeling like a "rehab centre" I don't think so but thank you for sharing your experience. Very close to the airport. Walking to the surf club for meals. Will use this establishment again. The rooms are so cute, so near the beach, great value. Very clean. Will be back thanks! Good customer service, close to airport and easy to locate. A good and comfortable place to stay for short trip. Free parking. Had stayed here a few times and will come back next time. Expecting double bed. Only 2 singles.. Toilet leaking water from bottom of bowl. no extra blankets on one of the coldest nights of the year Television not viewable due to really bad reception. walls so thin that conversation next door easily audible after they arrived home at about 1 am. Broken fixture in tine shower recess. In short I have stayed in better and cleaner accommodation in the middle of Africa. Firstly Harry, is very welcoming and wonderful to deal with. There are vastly different rooms available and I stayed in a Queen room (upstairs) fro about $110 a night- which you could get a LOT more about a kilometre down the street. You have to remember that you are paying for the location near the airport and university (in my case) rather than the quality off the room. The fibro building has been 'updated' but not not renovated.The door and windows let a lot of cold air in, and the water pressure is terrible, but there is a microwave and kitchenette- something that the other airport motel did not have the last time I stayed there. The rooms are not serviced during a 3 night stay (and mine was immaculate when I arrived), but oddly enough, during the day, appliances are turned off at the power point (including the AC which meant when i got back at the end of the day, the room was quite chilly). Basically a little overpriced for what it was, but someone has clearly tried to spruce it up a bit. 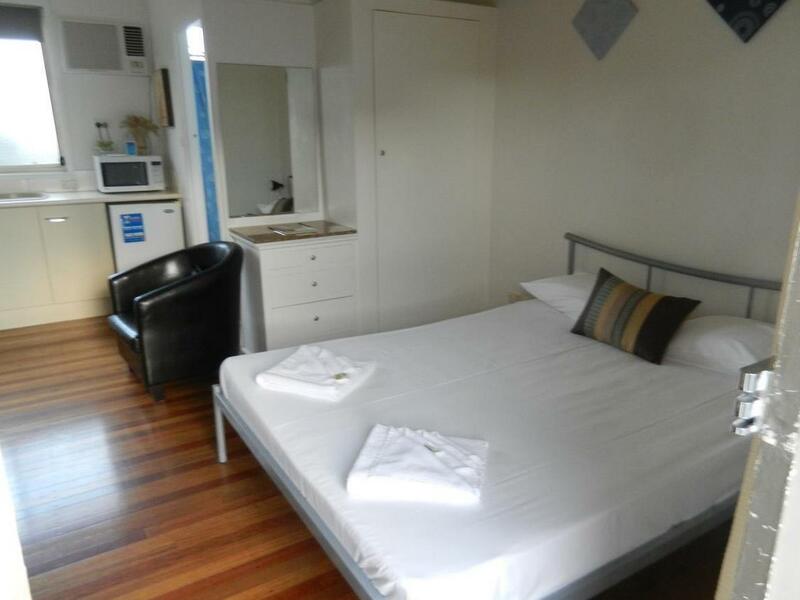 I wouldn't stay here unless I needed to be in walking distance of the uni or airport.